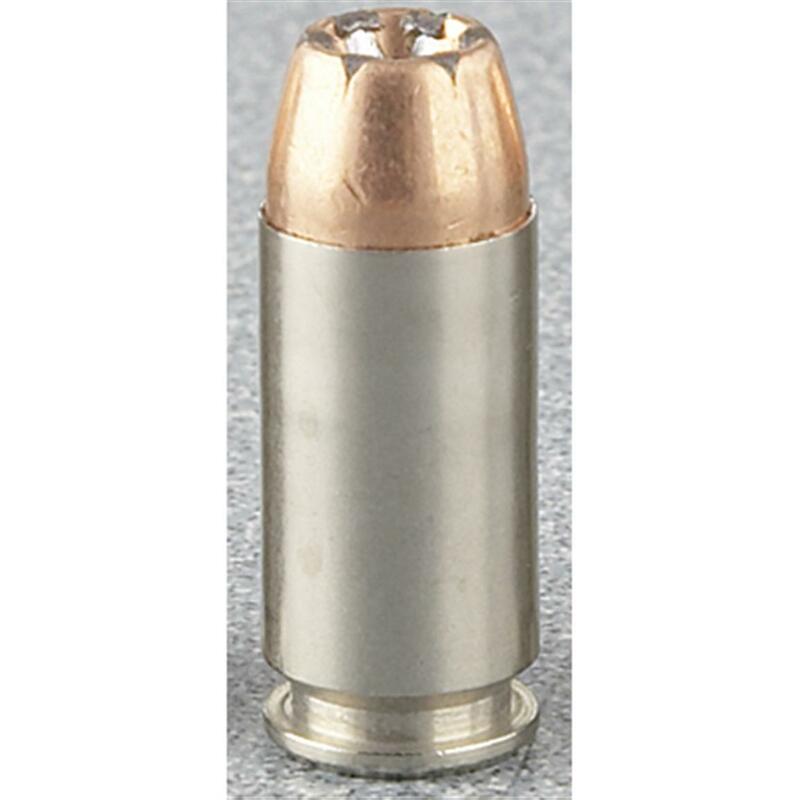 The gold standard for law enforcement. 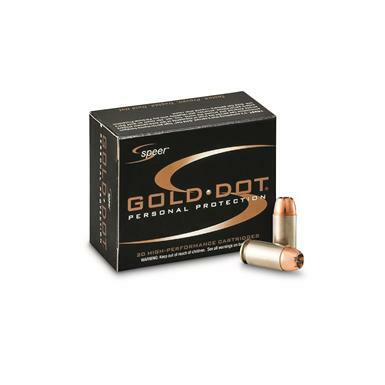 Speer® Gold Dot was the original bonded-core ammo…and it's still the No. 1 choice of law enforcement worldwide. Speer utilizes Uni-Cor® technology, which bonds the copper jacket to the lead core one molecule at a time. This virtually eliminates core-jacket separation through hard impact—so it retains energy and causes more devastation, even through barriers. 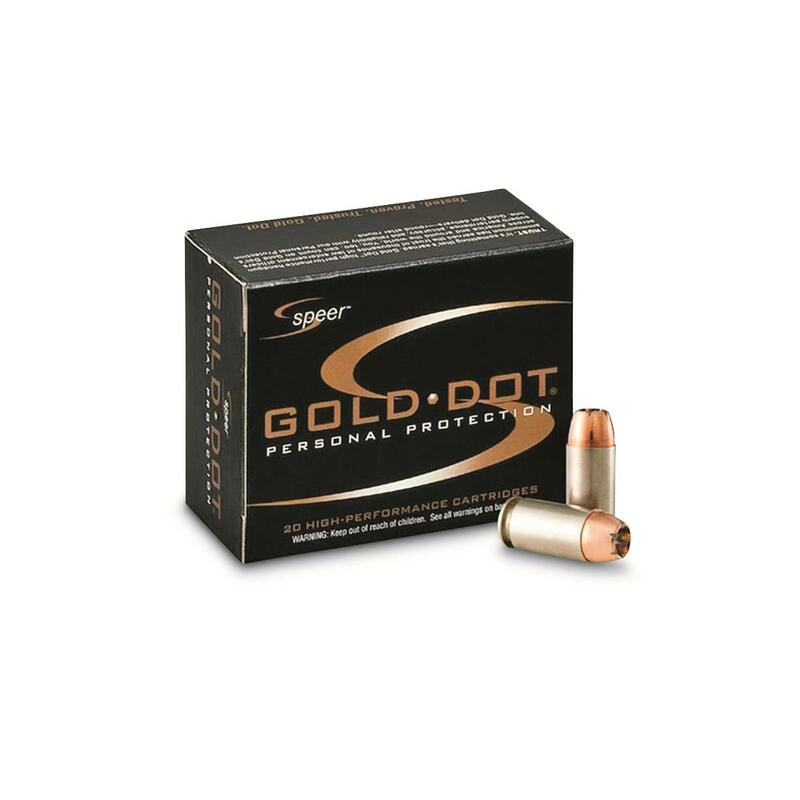 That's why Gold Dot the gold standard for personal protection.